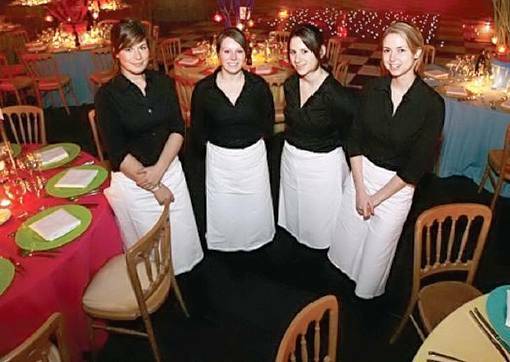 Over the last 12 years Clare Edwards and her team have proved that they can cover any style of wedding – from large wedding breakfasts in a fabulous marquee to an informal country buffet in a village hall. Preparing food, laying tables and serving food and drinks, Regency Recruitment’s excellently presented and experienced waiting and bar staff can take care of it all. Whatever style of wedding however formal or relaxed you want it to be Regency Recruitment can supply the team to look after your guests leaving you to relax and enjoy your day! Please visit our website to discover more of how we can work with you. For professional and friendly help with your perfect wedding contact Clare.